Joins in SQL server is used to integrate rows from multiple datasets, based on a common field between them. In SQL, joins are primarily used to fetch reference details. For example, employees table is having data for employee details like employee name, number and in which department number he/she is working. Departments table is having data for department number, name and location. Now if we need to find the name of the department in which the employee is working then we need to join both the tables and fetch the filtered records. We use join majorly to reduce duplication in the result and improve the query performance when multiple data sets are involved in the query. 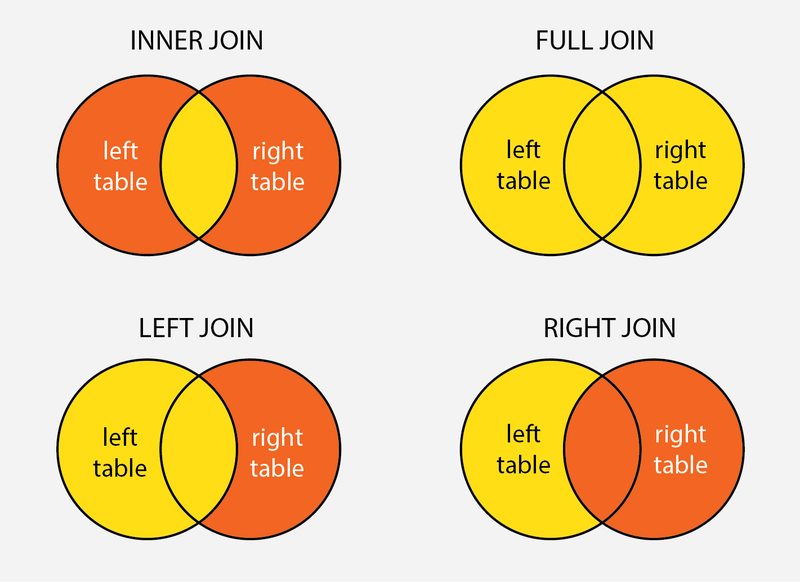 There are various types of joins available in SQL server. They are as follows. To understand them more, we will go through each join with examples. Before going into much detail, let us first have 2 tables with data which we are going to use in joins examples. Enthusiastic about exploring the skill set of SQL Server? Then, have a look at the SQL Server Training Course together additional knowledge. Inner join is used to extract the records which are common between both the tables. In SQL terms, inner join returns all records where join condition is met. Here, in above query output, we can see employee having empno as 7521 and 7654 were not displayed because they have deptno as null. So, they are failing while joining with dept table. As the name implies, left outer join extracts all the records from the left table, whereas from right table, only common records whichever are meeting join condition will be fetched. Here, in above query output, we can see all the records from left (emp) table were selected irrespective of their deptno values. As the name implies, right outer join extracts all the records from the right table whereas, from left table, only common records whichever are meeting join condition will be fetched. Here, in above query output, we can see that all the records from the right (dept) table are fetched and only matched records from left(emp) table are fetched. Full outer join extracts all the records from both the tables irrespective of any condition. Here, in above query output, we can see all the records from left(emp) and right(dept) table are fetched. Full outer join is also termed as join of left and right outer join. some relationships are there between records in the same table. For example, each employee will have one manager, and each manager is an employee as well. So for each manager, there will be a record in employee table. SELECT e1. *, e2.empno "MGR EMPNO", e2.ename "MGR ENAME"
Here, in query output, we can see employee details with his manager details by joining the emp table with itself. Cross join is a cartesian product of two tables. It will connect all rows of left table to each row of right table. So, query result of a cross join is number of rows in left table multiplied by number of rows in right table. Joins are the backbone of any database. Hope this article has provided with the required insights on various types of joins and when and how to use it.